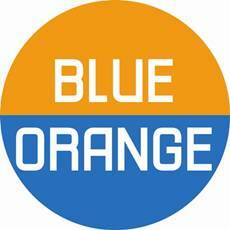 Billed as a psychological thriller, Joe Penhall’s Blue / Orange is a gripping piece that creates enough disquiet to ensure the audience will still be mulling it over days later. Written in 2000, Blue / Orange thrives in the uncertain economic environment the UK has plunged into. It feeds on the ever-present fear of who is sane or insane and are those who claim to know best or who are the appointed authority on a subject really sure? The play opens with Christopher (Oliver Wilson) as excited as a child on Christmas morning, desperate to go back home after spending 28 days sectioned in a hospital. Christopher has been diagnosed with a borderline personality disorder but as the release date looms his key clinician Bruce (Gerard McCarthy) fears it might be schizophrenia and requests a second opinion from his Senior Consultant Robert. (Robert Bathurst) What follows is an unsettling leap through the medical looking glass. 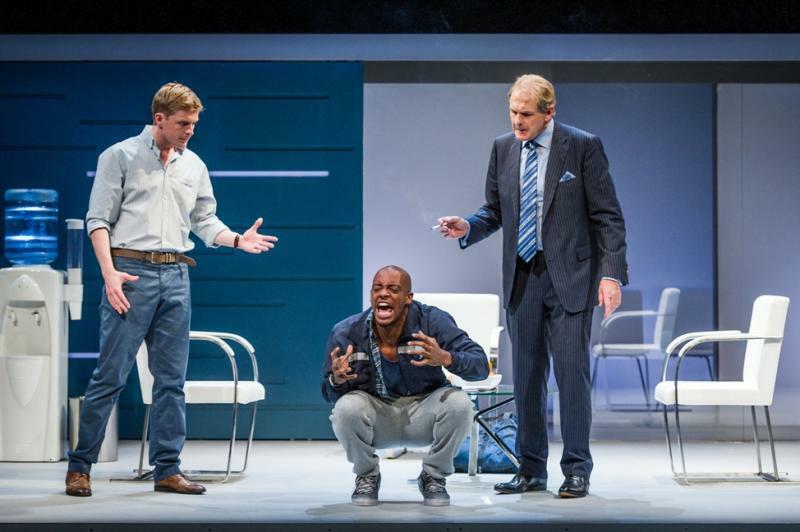 Oliver Wilson's challenging portrayal of Christopher is difficult viewing. Christopher swings through the full range of human emotion while he tries to make sense of what's happening to him. Wilson's character choices build Christopher as an every man, a victim of the system and his confusion at how his life ended up this way is heart-wrenching. While Christopher is unstable from the opening scene, McCarthy's Bruce unravels like a pulled thread on a jumper. McCarthy's factual, stoic portrayal of Bruce encapsulates the expectation the public has from the medical profession which doubles the shocking impact when he breaks and starts shouting at Christopher labelling him a “moron”. Bathurst's Robert is almost stereotypical as an unwieldy, traditionally academic, rugby-loving chap. He has an almost ethereal presence, presenting the image of a senior manager roaming the corridors looking for his next foot up the ladder. His dead-pan, upper class skewed observations also provide some of the funniest moments. Penhall’s script is fast-paced, humorous and full of rich detail that leaves the audience in no doubt of the realism of this scenario. The power plays and startling juxtaposition of a white man lecturing on racism are so timely that Blue / Orange could have been written based on this week’s newspapers it’s so current. In 12 years it seems the world has not moved on and it makes Penhall’s piece riveting.